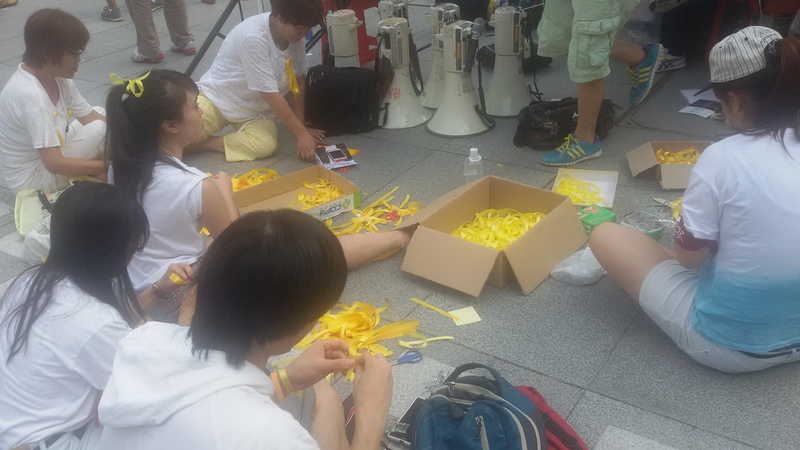 On the wall are handwritten notes and posters, yellow ribbons are distributed and thousands of students from various Hong Kong universities listen to student speeches and calls for action. 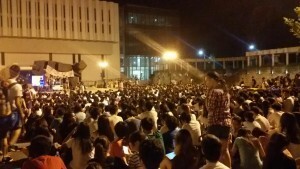 It is September 22, 2014, the first day of a weeklong student class boycott. The kick-off was held at the Chinese University of Hong Kong [CUHK], but the following days students could be found outside the Hong Kong Government Offices where professors were giving lectures on democracy and freedom of speech. Five days after the start of the student class boycott a small group of student activists would successfully climb over the fences into Civic Square, as coined by the protestors. Until July 2014 the square had been open and it had acted as a demonstrating space. Protestors saw the move to close fences at night as an attack on the freedom of assembly. A freedom considered a core value in Hong Kong. Storming the square was considered illegal and occupants were forcefully removed and taken into police custody. The fate of the arrested was unclear for many hours and the day after Hongkongers of all walks of life took to the street. Due to poor management of the constant stream of people, the public poured onto the streets. As the evening fell, in response to the swelling number of people occupying key roads in Hong Kong’s Central district, the police used pepper spray, fired tear gas and employed batons in an attempt to disperse the crowd. The use of police force shocked the city. Western media were quick to jump onto the bandwagon and write about it as a student movement. But little was written about the students who did not participate. The movement seen through the lens of Hong Kong students when they were not protesting on the streets gives a glimpse into their political consciousness. Most students did not camp outside the Government Offices, they were not on the streets 24/7 and therefore stories of those who were not at the forefront are left untold. I was 5 minutes away from the protests when the police fired teargas, but decided not to join the ranks. Not because I did not care, but because I do. I came to Hong Kong seven years ago for studies and since then have slowly felt a sense of belonging to the city. While my heart told me to go out and stand besides my friends, my students and my fellow city residents, I did not. Ethnographers at times may want to participate in the environment that they are observing and so did I, but I felt that my hair and eye color would impede rather than support the movement. People who know me know I see Hong Kong as my home, I understand Cantonese and have a deep understanding of the city and Mainland China. Yet, an outsider would just see a foreigner who is ignorant about the deeper issues at stake. The Chinese Communist Party, the Hong Kong’s Chief Executive, Mainland media, as well as certain groups in Hong Kong did indeed assert that the movement was pushed by external forces, and I did not want to fuel those suspicions. Initially I felt conflicted about not joining, but as I was talking to students I realized I could also become a participant of the unseen and unwritten stage. These included the large-scale consultation sessions on whether or not to continue the class boycott indefinitely, but also the smaller gatherings in which the safety of protesting students and the duties of those who stayed on campus were discussed. Observing the students behind the scenes was relatively easy as I had been a student at CUHK and as I was a Resident Tutor (American RA), I was already somewhat part of the community. Students knew me as someone they could go to when they had issues so when friendship groups were falling apart due to conflicting views on the police I became the first person students would come to. In their eyes I would not judge their political affiliations and personal feelings of the movement. The movement seemed the hardest on students who had parents or relatives working for the government because how do you defend them, but also support the movement? One strategy was to help from the sidelines by helping with the collection of food, drinks and masks that would be distributed by other students. Other students spent hours on the street much to the anger of their parents. Their strategy was to simply claim they would be sleeping at the dormitories that night and though parents may have suspected the real motives they had to let go of their, at least in a legal sense, adult children. Some students supported the cause, but not the protesting and they had to deal with attacks from their friends. And a final group simply did not care. All students dealt with psychological issues as everything a person said or did become political and led to personal attacks. University students, critical in classrooms, were suddenly overcome by emotion: you are either with us or against us. Being at the university listening to these students, offering them comfort and, if asked, advice became, to me, much more meaningful than being on the streets. Media reported on the ruptures, disagreements and diversity of protesters on the street. My participation in the shadows showed me the psychological discomfort of all students, regardless of actual participation. This discomfort was not only due to a polarizing discourse, but perhaps also because of an unfamiliarity with politics. 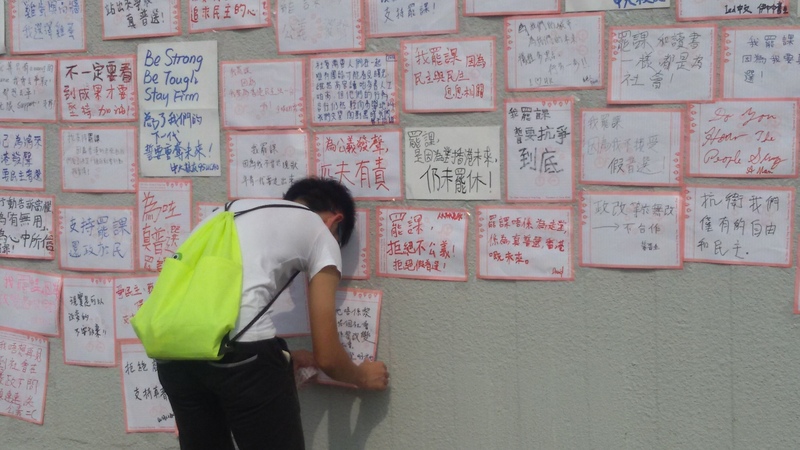 Hongkongers have often been labeled as apolitical and materialistic, yet in recent years the attack on what students consider Hong Kong core values and the perceived increase of Beijing intervention, has led to a rise in political consciousness. The movement and its occupation of Hong Kong roads may not have led to a change, but those who believe in the rightness of the movement and its ideals have not yet given up. 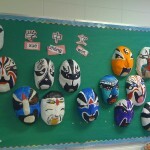 Annemarelle van Schayik is a teaching assistant at the Centre for China Studies at the Chinese University of Hong Kong. Her M.Phil dissertation focused on the lived experiences of Mainland Chinese students in Hong Kong’s tertiary institutions. 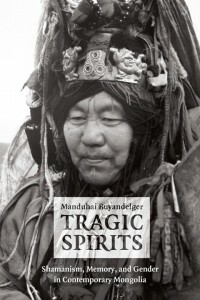 Tragic Spirits: Shamanism, Memories, and Gender in Contemporary Mongolia written by Professor Manduhai Buyandelger (MIT) won the 2014 Hsu book Prize. 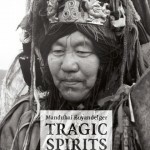 Tragic Spirits illustrates how shamanism has been revived by the Buryat people in Mongolia after the collapse of socialism and the further impoverishment of this marginalized ethnic group under the pressures of neoliberal capitalism. Through analyzing how economy, gender, and the state’s power influence the spirit world, Buyandelger documents the shamanistic practices that the Buryats use to make sense of their current misfortunes, reconstruct their memories, and recover their communal histories. Yi Zhou: I love your book title, Tragic Spirits. Can you give us some background on how you chose this as your title? Manduhai Buyandelger: It was visceral. It came from the consistent sadness and hurt that the supernatural beings communicated at almost every ritual that I had attended. I also wanted to convey the spirit of the place and time and what I understood about the people living through ongoing life-threatening misfortunes in the impoverished Mongolian countryside at the time of the collapse of socialism and the beginnings of capitalism. YZ: As you stated in your book, shamanism is many things: a local epistemology, a medical practice, a political struggle, etc. Why do you prioritize shamanism’s ability to make memories and history? MB: Shamanism and other inspirational practices have been theorized in anthropology in all sorts of ways and I spent a lot of time working through each of many framings, the epistemology, healing, resistance, etc. against my ethnographic material. But one theoretical framework seemed to downplay another. The emphasis on memory and history was inspired by many teachers and colleagues, but especially by Mary Margaret Steedly’s book Hanging without a Rope on Indonesian spirit mediums. She brings together various narratives by misfits, colonial officials, female mediums, and many others into an intricate shifting history, accompanied by a piercing analysis of postcolonial, narrative, and feminist theories. I wanted to bring in the stories of Buryat Mongolian shamans into a similar rendering. Once I began analyzing the production of memories, many other frameworks, especially the gendered politics, resistances to the colonial and socialist states as well as the influence of the market economy, began to fall into place as constitutive and constellating parts of the memory-making process. While in the field I consistently encountered shamanism’s ability to mark lacunae and forgetting, and leave the people attending the rituals on the threshold of knowledge and who then became highly invested in attending to their experiences of epistemic crisis and interpretive dead ends! Much anthropological work tends to treat the local epistemologies as readily existing and more or less consistent. I wanted to show people’s experiences of living with forgetting, partial knowledge, and even the impossibility of knowing, especially after the state control of knowledge during socialism. There is also a more direct answer to your question: regardless of the outcome of the rituals and the clients’ initial motives for consultations, the stories of spirits tended to take life of their own and become a part of the local history. Poignantly, most people sought shamanic help to solve their problems, especially economic devastation, but they got memories instead of resources. YZ: How did the lens of gender help reveal the uniqueness of shamanism in the Buryat community for you, especially aspects of shamanism that otherwise would have been difficult to see? MB: Attention to gender provides some key insights into memory making as an innovative and creative process. It was convenient to be around the generous, charismatic, and often hilariously entertaining male shamans and their families. They were the knowledge experts attracting anthropologists and tourists from all over. Because men controlled their domestic resources, the male shamans were also able to sponsor their rituals on time, mend their state-disrupted genealogies, and exclude the dangerous spirits and their disturbances. Female shamans were usually in the midst of a series of inconveniences: their rituals stagnated, degrees postponed, resources ended, families abandoned, their spirits betrayed, and they received ambiguous messages. All of that led me to attend to the shifting qualities of history, conceptualize the ephemerality of voices, experiences of lacunae, and gendered politics behind silences. Yet even if I just followed the male shamans it would have been hard to avoid gender issues. The vindictive spirits include male and female ancestors. But female spirits tend to be forgotten because in a patriarchal and patrilineal setting women’s names are not mentioned in genealogies, and women are discouraged from becoming shamans (which would make them into ancestral spirits after their death) by their husbands’ families. Yet in order to end the misfortunes caused by their malicious spirits, the community must appease both male and female spirits. The most qualified shamans to deal with the most malicious spirits happen to be, although not always, male. More, these male shamans must then challenge the ritual mechanisms and epistemological boundaries of shamanism that they have favored. Instead, they have to expand the neatly established notions of genealogy into a constellation of stories and include the narrative shreds about female ancestors. These efforts do not solve forgetting at a large scale, but they do something equally important; they reveal a structural crisis that is embedded in a gendered inequality in everyday practice, which is obscured in representations. YZ: Could the Buryats’ shamanism be seen as participating in what a recent Cultural Anthropology special issue called “emergent indigeneities,” forms of indigeneity that are inextricably linked with the emergence of new ideas about politics and citizen rights (Issue 25, Vol 2, 2010)? MB: Much of shamanism throughout Mongolia can be seen as participating in “emergent indigeneities,” as a political reaction to recent development in mining industries and the deterioration of the natural environment. But some shamans also participate in mining so it cannot be the dominant idea. “Indigeneity” would not work in ethnic terms either, as it might push the hierarchization among Mongolian ethnic groups all of which are experiencing the repercussions of extractive capitalism. Manduhai Buyandelger is an Associate Professor of Anthropology at MIT. She is the author of Tragic Spirits: Shamanism, Gender, and Memory in Contemporary Mongolia (University of Chicago Press, 2013). In her next project she explores the experiences and strategies of women candidates’ participation in Parliamentary elections in Mongolia. 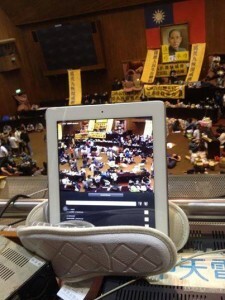 An iPad, fixed by a pair of slippers on the second floor of the Legislative Yuan (the congress of Taiwan), was shooting down the chamber with its lens. 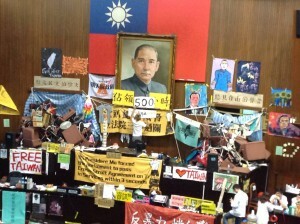 On the screen of the iPad, a big banner reading “Occupy 500 Hours” covered the bottom of the portrait of Sun Yat-Sen, the national father of Republic of China, otherwise known as Taiwan, hanging high on the wall. Two entrances next to the rostrum were blocked by piles of chairs. Inside, some occupants were discussing in groups; some were fighting hard with their lunchboxes; still others, holding cameras before their eyes, were capturing images as they were being captured by the iPad. The red light on the left-top corner had been running for 500 hours. Since the very beginning of the occupation, the images of the congress had been broadcasted non-stop online by the occupants themselves. 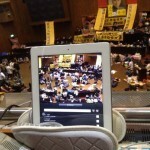 An iPad was filming the occupation and broadcasting it online via video streaming technology. Photo courtesy Slipper Family. Down on the first floor, more cameras, tablets, mobile phones and CCTVs were operating at almost every corner of the congress. Outside, SNG cars of major TV channels stretched out their huge electronic plates while work stations of civic journalists equipped with free and speedy Wi-Fi systems were strategically located in the occupied site. Inside and outside, it was a real-life version of The Truman Show, a miniature of the surveillance society, only in its extreme sense. Open and transparent, the core concept and the goal of the movement, had been embodied in its own nature. The scene took place in Taipei, Taiwan when the Sunflower Movement occupied the congress and its surrounding streets in the spring of 2014 to protest against the pass of the Cross-Strait Service Trade Agreement between Taiwan and China. The agreement was mocked by the Taiwanese as a “black-box agreement” since the procedure of negotiation and formulation were mostly made under the table regardless of the fact that it would influence tens of thousands of Taiwanese lives. “Anti-black box” was the most effective incentive of the movement, even more powerful than anti-trade pact, anti-government or anti-China in winning over support. A belief that the resistance to the “black-box” agreement can protect the democracy of Taiwan became so strong that open and transparent seemed to be the only remedy to cure Taiwan’s critically ill democracy. 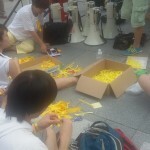 Open and transparent was the idea that motivated young generations in Taiwan to participate in this movement. While the term “politics” had long been corrupted as a political game, the power struggle, or fights among the legislators, open and transparent was believed to be capable of “purifying” the politics and bringing it back to the foundation of equality and justice. Even more, open and transparent was the ideological weapon the people wielded against China. For many Taiwanese, China was seen as the largest threat to democracy—no freedom of speech, no open dissent, and guanxi (the personalized networks) overpowered the law. The people on the islands feared that, with its strong economic power, China would erode Taiwan’s democracy and freedom, which the people have struggled for decades to acquire. Indeed, China, not merely as a threat, was also a mirror that reflected the resistance of the Taiwanese to the era of martial law, which only ended three decades ago. The images of the supposed-to-be enemies, the KMT party in Taiwan and the Chinese Communist Party, ironically overlapped. Occupation of the congress. Photo courtesy Slipper Family. Embodied with the spirit of open and transparent, the occupation was destined to be exposed to the gaze of the public. Stories about drinking beer in the chamber or consuming sweets from a legislator’s office were reported by the mainstream media to show the irresponsibility and thoughtlessness of the movement while recycling and maintaining the cleanliness of the chamber became signs that the occupation was carried out by rational and responsible citizens. How to legitimize resistance in front of cameras became the critical issue. “We are not rioters, we do this out of right intention“ was the message the occupants tried to convey. The paradox thus lay at what it meant to behave well. While the occupation was to transgress the social norm, why should the occupants still behave according to the norm? One of the student leaders expressed after the movement that “prisoned in the congress, I was like an actor in those days”. Yes, acting, like The Truman Show. There was no way to escape surveillance, and one had better act in consistent with the expectation of the public in order to gain support and sympathy. The movement was both accomplished and ruined by open and transparent. Its pursuit of transparency helped to win support from half a million Taiwanese who appeared around the congress in the massive rally on March 30th. The main slogan, “legislating the regulation before reviewing the trade pact” (xian-li-fa hou-shen-cha), aimed to make the political and economic interactions between Taiwan and China transparent under a monitoring mechanism. Such a demand was in the end accepted by the speaker of the congress. On the other hand, the omnipresent gaze from the public and the occupants themselves put great pressure on the occupation so that any radical resistance was handicapped. Even though there emerged dissenting voices, such as the critiques of global capitalism or Taiwan independence, the movement was compromised to the mildest demand of legislating a monitoring mechanism. 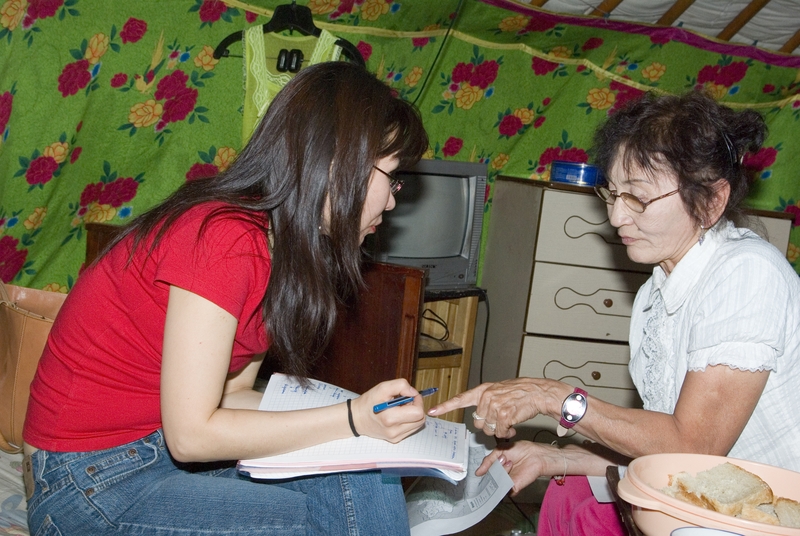 Meichun Lee is a PhD student in Anthropology at the University of California, Davis. 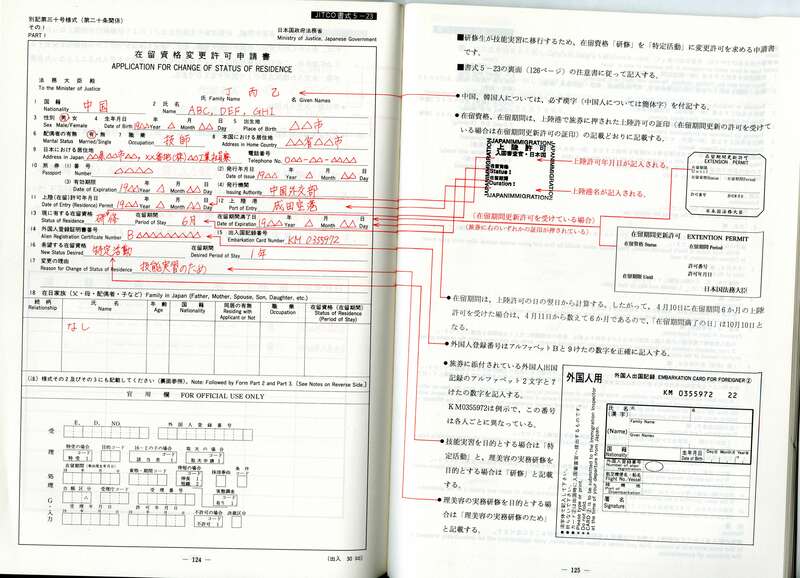 Her work focuses on the political potentiality of digital images and technology in Taiwan. “Be realistic, Demand the Impossible!” is a text attached to a bike during Hong Kong’s “Umbrella Movement” (September to November 2014). BBC News comments: “It’s getting hard to tell what is art and what isn’t. Is this a mode of transport with a slogan attached, or a piece of artwork that you can ride?” (“In Pictures: Hong Kong Protest Art.” October 16, 2014. <http://www.bbc.com/news/world-asia-china-29648459?>). The bike is a conceptual artwork that intentionally blurs the boundary between art and life. It is one of the many examples about how art engages in politics in the Umbrella Movement. With simplicity and openness, it sends a message important to Hong Kong and beyond. The artwork expresses the idea that Hong Kong residents demand solutions to crises they face in everyday life. Necessities of living – such as housing and food – often become impossible demands (out of reach) by those suffering from a variety of crises. Hong Kong residents in the past decade have to confront many serious issues: rapidly rising costs of living (including housing), growing income inequality, environmental deterioration, diminishing economic importance to the mainland, and substantial increases of mainland Chinese visitors and college students (“Seven Economic Shifts Underlying Hong Kong’s Divide With Beijing.” Bloomberg News, October 10, 2014. <http://www.bloomberg.com/news/2014-10-05/seven-economic-shifts-underlying-hong-hong-s-divide-with-beijing.html>). To address these problems, the Umbrella Movement demands solutions in terms of “true democracy” or “universal suffrage.” In a way, this message resonates with those expressed by protesters at the original Occupy Central (2011-2012), Wall Street Occupiers in the United States, and the protesters in Europe and the Middle East in recent years. Specific to the crises in Hong Kong, and their solutions, is the issue of Hong Kong’s relationship with the mainland, which is economically close, historically colonial, politically antagonistic, and ethnically sensitive. Explicitly or implicitly, everything related to the mainland – Chinese sovereignty, the communist party, authoritarianism, or mainland immigrants, students, and visitors – has been a source of contention before, during, and after the movement. Mainstream media in the US and the UK covered the protests mostly from an antagonistic perspective as a way to push for policy changes in Hong Kong and China in terms of democracy and freedom. 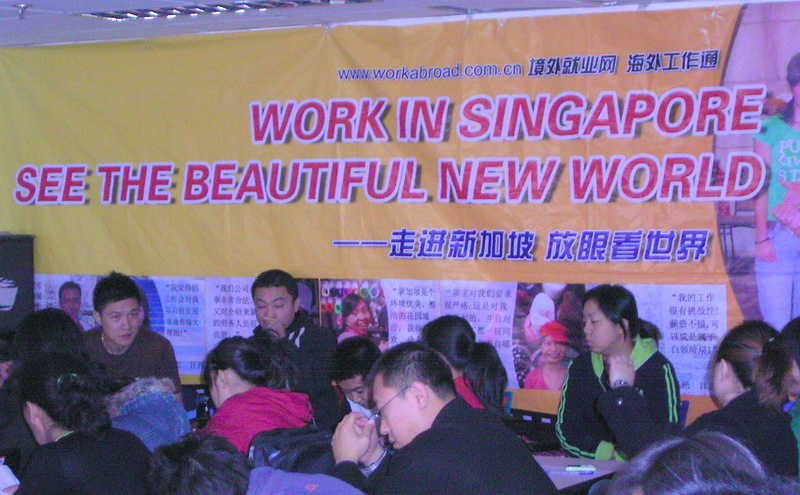 Meanwhile, alternative media observers argue that the movement in Hong Kong is inseparable from “racial” and “nationalistic” biases toward the immigrants, especially those from the mainland (e.g., Nao, “Black vs. Yellow: Class Antagonism and Hong Kong’s Umbrella Movement.” October 3, 2014. 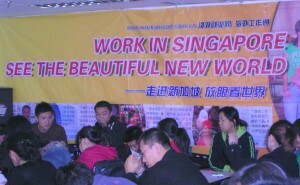 <http://www.libcom.org/black-yellow-hk>). To address the crises in Hong Kong, it is necessary to understand the ways in which colonial/imperial history shapes neoliberalism that ties Hong Kong and China together. The Hong Kong territory was historically formed from 1842 – when China ceded the Hong Kong Island to Britain according to “The Treaty of Nanjing” – to 1984, when China and Britain agreed that the Chinese government would resume sovereignty over Hong Kong on July 1, 1997, and maintain Hong Kong’s prosperity and a high degree of autonomy for fifty years (Hai Ren, Culture and Neoliberalism in China and Hong Kong. London: Routledge, 2010, Chapter 1). Under British rule, Hong Kong had never become a democratic society. In fact, Britain governed Hong Kong only as a place for business, not politics. Combining colonial conditions and close economic ties with the mainland, Hong Kong has become a model for the global neoliberal economy. Milton Friedman, one of the most influential neoliberal theorists, touts Hong Kong as a model from which the United States needs to learn. The Heritage Foundation and the Wall Street Journal consistently place Hong Kong at the top of their global rankings of “economic freedom.” After 1984, both Hong Kong and China made efforts to prepare for Hong Kong’s return to China. For example, Hong Kong’s museums and preservation projects attempted to create and preserve Hong Kong’s historical memories. Meanwhile, mainland museums and historical representations had to address how a socialist country could accommodate a capitalist society. A version of neoliberalism in the name of “one country, two systems” was gradually developed (Ibid). Immediately after July 1, 1997, the Chinese government began to modify the constitutions of the communist party and the country. 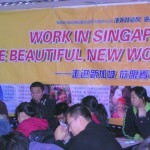 The English name of the party, for example, was changed from the “Chinese Communist Party” to the “Communist Party of China.” What counts as “the people” of the Chinese nation-state has changed significantly to include the capitalists (both from Hong Kong and other parts of China) and the middle classes (Hai Ren, The Middle Class in Neoliberal China. London: Routledge, 2013, Chapter 1). While transforming the mainland into a neoliberal economy, the Chinese government maintains Hong Kong’s neoliberal system according to its promise to countries like Britain and the United States. Thus, finding solutions to the crises in Hong Kong entails identifying alternatives to Hong Kong’s neoliberal system itself. The Umbrella Movement has provided an historical opportunity for imagining and enacting alternatives through artistic practices. The collaborative production of the popular song and music video “Umbrella” is a good example (方欣浩, “運動歌曲《雨遮》：從學生創作到現場動員.” November 14, 2014. <http://www.vjmedia.com.hk/articles/2014/11/14/90789>). The lyrics are based on a poem written by a high school student. The music composition and studio recording involved collaborative efforts by a group of students. 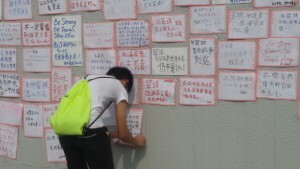 In producing the music video at a protest camp, participants included students, residents, and even mainland visitors. This and other examples may testify how perseverant Hong Kong’s entrepreneurism is. However, one significant aspect of this artwork that is incommensurable with neoliberal entrepreneurism is that its creation is achieved through a do-it-together collaboration (rather than do-it-yourself competition). Instead of being incorporated into a new mode of the creative economy, moreover, this collaboration takes the form of taking care of themselves, signaling possibilities for inventing a new political culture in Hong Kong. 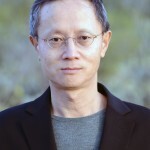 Hai Ren is Associate Professor of East Asian Studies and Anthropology at the University of Arizona. 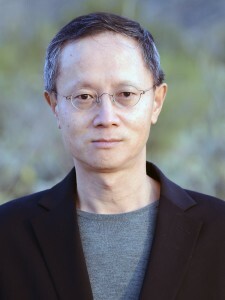 He is the author of Neoliberalism and Culture in China and Hong Kong (2010) and The Middle Class in Neoliberal China (2013), and a co-editor of the anthology Global Futures in East Asia (2013). Editors’ note: the SEAA editors are organizing a series of articles comparing the two recent social movements: the Sunflower Movement in Taiwan and the Umbrella Protest in Hong Kong. Please email Heidi Lam ([email protected]) and Yi Zhou ([email protected]) to submit suggestions or if you are interested in contributing a paper on this topic. Space of Mediation: Why Do International Labor Recruiters in China Charge So Much, and Why are They Difficult to Regulate? Unskilled Chinese workers pay an average of US$8,000 (including US$ 3,000 “security bond” that would be confiscated if they violate any rules) in 2010 to secure a job in Japan, Singapore and South Korea, their top three choices. The high costs of international labor migration worldwide, but especially in Asia, have recently attracted high-level policy attention. The UN Secretary General Ban Ki Moon stressed that “there are enormous gains to be made by lowering costs related to migration” during the General Assembly High‐level Dialogue on International Migration and Development 2013. At the same forum Asia Pacific countries identified addressing recruitment costs as one of five policy priorities. Why do migrants have to pay so much? A strong consensus among international organizations and national governments is: private labor recruitment intermediaries are to blame. International Labour Organization launched a high-profile “Fair Recruitment Initiative” in 2014 aimed at better regulating recruiters. The U.S. Department of State and a number of intergovernmental agencies make explicit links between fee-charging labor recruiters and human trafficking, arguing that the two should be addressed together. Concerns about the costs of migration became a policy anxiety fixated at recruitment intermediaries. In the early nineties, when I talked to the foreigners [recruiters], they told me what workers they wanted, I told them the number of our foreign currency account. 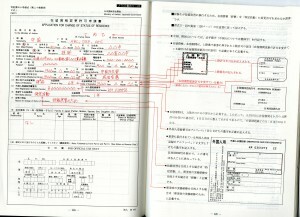 The commission must be paid to the account within ten days, otherwise forget it! Or, for some countries, you pay me the commission every month [after the migrant starts working]. But now the international society talks about human rights more and more. Foreign employers and intermediaries are not allowed to deduct workers’ wages. They must meet this criteria, that criteria. The employer doesn’t want to pay commissions anymore. Nowadays, we have to get our profit from the migrants here. […] And we have to get the profits for the foreigners here too! What happened across countries was repeated within China. First of all, despite the government’s suspicion about recruitment companies, in practice it relies on them for achieving orderly migration and protecting migrants’ rights. This is because recruitment companies, by following through increasingly complex bureaucratic procedures and fulfilling paperwork requirements, are indispensable to make migration legible and therefore governable. Migrants are not “protectable” unless they are first bureaucratically documented. Licensed recruitment companies in big cities in turn rely on subagents in the countryside to find workers. The subagents are important also because they effectively discipline workers who are working overseas by pressuring the migrants’ families, making the licensed companies attractive partners for overseas employers without tarnishing the companies’ formal image. Once such a multilevel recruitment chains are in place, every intermediary makes its cut. Thus, the costs of migration are high not only because private agents are greedy, but also because state regulation is complex and the pressure on rights protection is high. Rather than matching demand and supply, the intermediaries’ main function seems to be manufacturing migrant legality on the surface while hiding the irregular means that create and sustain the legality (such as the subagents’ withholding migrants’ property certificates in rural China to force them to comply with border control and employer requirements). The intermediaries are not working outside of laws as usually assumed, but are firmly embedded in the operation of regulations. How the intermediaries make money is how the state make order of migration. My ethnographic research in China, Japan, Singapore and South Korea since 2004 makes it clear that, what mediate international labor migration is not recruitment intermediaries alone, but are many actors who are intricately inter-related. Without realizing that they are in the same space of mediation as commercial intermediaries, policy makers and NGOs have taken initiatives that make migration more instead of less costly. Recruitment fees in China are particularly high not because its regulation is ineffective, but precisely because the state capacity is strong. The mediation processes are not ephemeral or transient, passively bridging pre-defined demands of other actors and then disappear once others’ demand are satisfied; they have developed their own structure and quasi- autonomous dynamics, and actively shaped all the actors involved. The structure of the space of mediation is probably more important in effecting actual migration processes than market demand, state policy or migrant decision alone. It should be foregrounded and studied in its own right. Beyond migration, the notion of space of mediation may also provide a tool for investigating ethnographically more general social transformations that take place on multiple fronts that often appear contradictory, like what we witness in China today. Tragic Spirits gives us a mesmerizing depiction of the revival of shamanism among the Buryats of Mongolia under tragic circumstances. Facing life-threatening economic misfortunes in an era of neoliberal reform, Buryats turn to shamans to explain the causes of their hardships. 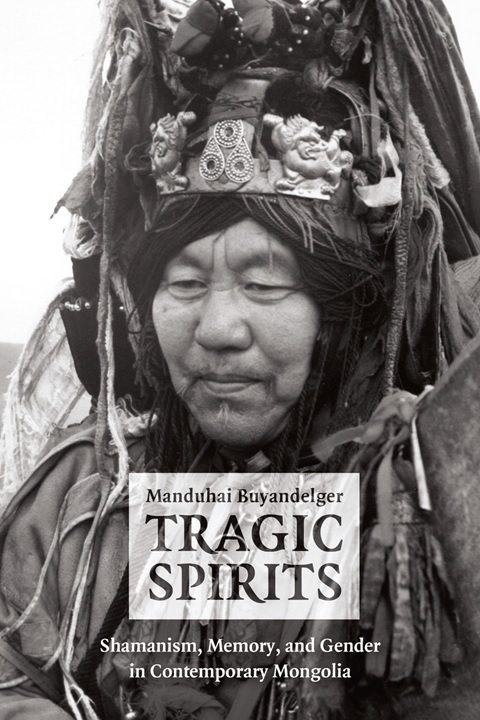 The shamans explain their clients’ bad fate in terms of neglected ancestral spirits and it is here that the subtlety and brilliance of Manduhai Buyandelger’s ethnography becomes apparent. Because of multiple forced migrations and historical displacements, at the hands of Tsarist and Soviet Russia, the Ch’ing dynasty Chinese empire and the socialist government of Mongolia, Buryats have often lost the history and the genealogies of their own families. The shamans’ search for neglected ancestral spirits enables the reconstruction of familial histories. Based on years of fieldwork in her home country, Buyandelger interweaves complex narratives of state violence and suppression with the voices of ancestral spirits, shamans, and their clients to produce a moving portrait of a long suffering people. By analysing how the gender dynamics of the present influence the activities of male and female shamans, she demonstrates the importance of gender to the reconstruction of history. While giving us multiple portrayals of Buryat life, Buyandelger theorises new ways of thinking about history, memory, and forgetting that are applicable to a wide range of societies. Buyandelger’s wide reading in anthropology enables her to make many nuanced comparisons to the work of shamans and the making of history in other places. Above all, she shows that history is a continual work in progress. Her work will inspire anthropologists concerned with problems of memory, forgetting, suppression, and the creation of historical knowledge for decades to come. It is for these reasons that Tragic Spirits richly deserves the 2014 Francis L.K. Hsu Book Prize. The Minzu University of China hosted China’s first conference on “Visual Anthropology and Contemporary Chinese Culture” on June 21-22 in Beijing. Anthropologists, filmmakers, and NGO representatives from America, Germany, Mainland China, and Taiwan offered diverse perspectives that sought the theoretical and practical development of visual anthropology as an important lens to understand contemporary Chinese culture and social dynamics. 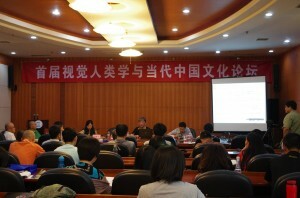 This two-day conference had five major panels: The Embodied Momentum of Ethnographic Film, Theory and Methodology of Visual Anthropology, Film-making in the Countryside and Local Communities, Visual Anthropology and Cultural Heritage Protection, and A Round Table Discussion on Visual Anthropology and Media Communication. Along with in-depth discussions focusing on visual anthropology as a new yet powerful research field, many panelists tried to braid it together with anthropological traditions and topics unique to China. Many of them, for instance, focused their research on the ethnic groups that constituted the multiplicities of China’s contemporary culture. The photographic and filmic images used in presentations reinforced their arguments and detailed the religions, human-nature relationships, and everyday lives of the Tibetan people, Wa people, and Amis tribe in Taiwan, etc. Another key anthropological study area in post-Mao China has been the interrelations between the cities and countryside which has drawn scholars’ attention to media and mediation. They discussed how media – the city mechanism– depicted and culturally translated life in the countryside for the audience, how life in the countryside has been (re)produced by the media discourses, and how media may possibly contribute to peasants’ new forms of subjectivity. 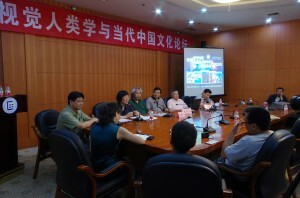 The conference also highlighted China’s social movements that have been put in motion by media and visual culture. The NGO of “Leimin Visual Studio – Youth Visual Plan and Action ” records the voices of the socially marginalized people and mobilizes the young citizens to pursue social justice. “Eyes of the village – Nature and Culture Documentation Project”, a group made up of anthropologists and filmmakers, aims at training villagers to use the film equipment. Villagers hence replace the visual anthropologists as ethnographic filmmakers and narrate their own stories. The representatives from these projects introduced their activities in the conference and also raised the ethical questions: how do anthropologists deal with films which are records of sacred rituals and ceremonies that only the villagers as cultural insiders could access and document? What are the results of showing the films to the local communities in which the “villager-directors” have recorded the private and personal aspects of their daily lives? 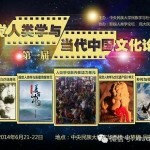 During the screening times, more than twenty ethnographic films were shown adding further depth to the discussions. Below are the links for several trailers with English subtitles that panelists kindly shared. Description: Wangta is from Jisha Village of Xiao Zhongdian Town, Shangri-la country. Besides farming, he used to drive a huge truck to deliver cargo. He participated in the training workshop of “Eyes of the Village – Nature and Culture Documentation Project” which was organized by Shan Shui Conservation Center. He then picked up a video camera to record several environmental disasters that took place in Jisha Village which he later edited into a film titled “Jisha Chronicles”. He also likes to shoot daily life and festival ceremonies of Jisha Village and share his video clips with his community members. Through documenting various rites and Tibetan people’s narration about the role of water in their lives in Yunnan, his work “Wonder of Water” tells about the views of Tibetans about water in a poetic manner. In June 2011, Korea’s production company held its first European concert in Paris, singing for fans from France, the UK, Germany, Spain, Italy, and so on. The company initially scheduled only one show at Le Zénith de Paris concert hall which seats about 6,000, but the tickets sold out in 15 minutes, prompting hundreds of fans to organize flash mobs in front of the Louvre museum to demand an extra show. The company thus decided to arrange a second concert, then again the tickets sold out in minutes. An online-based fan club in the UK organized similar flash mobs in London’s Trafalgar Square to demand shows from K-pop acts. In 2012, Korean singer Psy became a global phenomenon with his song Gangnam Style and horse-riding dance move – the most watched video of 2012 on YouTube (2 billion views as of June 2014). Since the late 1990s South Korea has emerged as a new center for the production of transnational popular culture, exporting its own media products into Asian countries including Japan, China, Taiwan, Hong Kong and Singapore. The spread of Korean popular culture overseas is referred to as the “Korean Wave” or “Hallyu” – a term first coined by Chinese news media in the middle of 1998 to describe Chinese youth’s sudden craze for Korean cultural products. Initiated by the export of TV dramas, it now includes a range of cultural products including Korean pop music (K-pop), films, animation, online games, smartphones, fashion, cosmetics, food and lifestyles. While its popularity is mainly concentrated in neighboring Asian markets, some of the products reach as far as the USA, Mexico, Egypt, Iraq, and most recently, Europe. This is the first instance of a major global circulation of Korean popular culture in history. A revival of the Korean Wave is being anticipated by the development of digital media forms, the use of the Internet and online marketing. While the rise of satellite broadcast fueled the spread of the Korean Wave in the 1990s, social networking services and video-sharing websites such as YouTube, Facebook and Twitter are now playing a primary role in expanding “digital Hallyu” to Asia, the USA, Europe and elsewhere. Korean dramas are being uploaded to the Internet and available with subtitles in various languages including English, Japanese, Chinese and Spanish. Driven by a desire to “help” their idols, fans do real-time translations of idols’ performances on the social media. The interest in Korean popular culture has further triggered an increase in foreign tourists visiting the locations where their favorite dramas and acts had been filmed. Its impact has reached into communist North Korea. In 2005, a 20-year-old North Korean soldier defected across the demilitarized zone and the reason given, according to South Korean military officials, was that the soldier had grown to admire and yearn for South Korea after watching its TV dramas which had been smuggled across the border of China. Similar cases have continued to occur, while the means of access to the Korean Wave media culture has expanded through the use of the Internet and cellular phones in North Korea. According to recent interviews with North Korean refugees, young people from the wealthy families of Pyongyang are willing to pay around $20 a month for private lessons to learn the fashionable dances of Girls’ Generation (Sonyosidae), one of the most popular girl groups in the Korean Wave music. In the past, national images of Korea were negatively associated with the demilitarized zone, division and political disturbances, but now such images are gradually giving way to the vitality of trendy, transnational entertainers and cutting-edge technology. The success of Korean popular culture overseas is drawing an unfamiliar spotlight on a culture once colonized or overshadowed for centuries by powerful countries. The Asian region has long been under the influence of Western and Japanese cultural products. In the European imagination, Korea was once thought to be sandwiched between Japan and China and known only for exporting cars and electronics products, but now has made itself known through its culture. The Korean government sees this phenomenon as a way to sell a dynamic image of the nation through soft power, the ability to entice and attract. The sudden attraction of the Korean Wave culture has presented a surprise: Why has it taken off so dramatically at this point? Why popular (or not)? Why now? What does it mean socially, culturally and politically in global contexts? This book The Korean Wave: Korean Media Go Global (2013) argues for the Korean Wave’s double capacity in the creation of new and complex spaces of identity that are both enabling and disabling cultural diversity in a digital cosmopolitan world. While not denying the obvious power of Western, particularly American, dominance over the international media landscape and the continuing significance of Western media imperialism, this book considers the Korean Wave in the global digital age and addresses the social, cultural and political implications in their complexity and paradox within the contexts of global inequalities and unevenpower structures. The emerging consequences at multiple levels – both macro structures and micro processes that influence media production, distribution, representation and consumption – deserve to be analyzed and explored fully in an increasingly global, cosmopolitan media environment. Kim, Youna (2013) The Korean Wave: Korean Media Go Global. London and New York: Routledge. Youna Kim is Professor of Global Communications at the American University of Paris, France, joined from the London School of Economics and Political Science where she had taught since 2004, after completing her PhD at the University of London, Goldsmiths College. Her books are Women, Television and Everyday Life in Korea: Journeys of Hope (2005, Routledge); Media Consumption and Everyday Life in Asia (2008, Routledge); Transnational Migration, Media and Identity of Asian Women: Diasporic Daughters (2011, Routledge); Women and the Media in Asia: The Precarious Self (2012, Palgrave Macmillan); The Korean Wave: Korean Media Go Global (2013, Routledge); Global Nannies: Minorities and the Digital Media (in preparation). While The Daily Show clearly intends the viewer to express skepticism over the California resident’s lingering Cold War fervor and to understand that Mandvi winks at us with his suggestion that 12-years olds are primed to abolish western democracy, the program’s mockery mirrors controversies over the CIs’ perceived threats to western academic freedom that in turn reflect wide-ranging perceptions of China as a general threat to global well-being. What can an ethnographically-grounded anthropological perspective offer to this debate? I’ve been doing research on CIs for three years, sitting in on classrooms, travelling with CI groups to China and interviewing administrators, teachers, parents and students. This research provides a glimpse into the complex workings of a disaggregated Chinese state and its CI policies that privilege actual policy practices and the people who implement them and are targeted by them. What this research suggests is not that we stop interrogating CIs’ soft power intentions or wholeheartedly embrace the programs, but that perhaps we are asking some of the wrong questions. Rather than assume congruence with policy intention and effect, what do we learn by considering what actually happens in the classroom? I offer here a few examples of how we might proceed. Marshall Sahlins is not the only scholar to be concerned about the singular use of P.R.C.-based simplified characters in the CI classroom. Yet, this perspective overlooks the fact that most of us trained in Chinese read in both character sets; as such training in one does not preclude access to the other. At the same time, McCord’s characterizing the dominance of simplified characters in U.S. texts as pure volition ignores how the Chinese state has marginalized Taiwanese language publications, censored Hong Kong writings and pressured the global publishing industry in other more pernicious ways. Of more concern than the visual medium of instruction I would argue, is the content of the CI language courses and materials. And from this angle, like foreign language classes and texts in other languages, CI texts provide a vocabulary for shopping and assessing the weather, not an recitation of unsavory national history. As my own high school French texts failed to include a detailed discussion of guillotine use during the French Revolution, neither do CI curricular materials chronicle Tiananmen Square in 1989. In the classrooms I’ve visited, when conversations veered toward the politically controversial, teachers answered questions briefly and returned to language study. We might call this censorship, or we might understand it as common pedagogical strategy. We also might look at the effect rather than the intention. Students and their parents sometimes perceived this disinclination to discuss politics in the classroom as a form of “totalitarian” control. Teachers disputed this perception and I witnessed teachers who both engaged in political discussions outside the classroom and used alternative materials in the classroom. Regardless, if this perception of censorship is the resultant image of “China,” it is arguably the opposite of what the Chinese state desires for its CI soft power policy. This suggests that the programs as a form of power for China are ineffective at best. We might consider the rapid and expansive growth of the CIs as a second example of how asking different questions offers conflicting understandings of policy effect. McCord argues that the growth of the programs is a result of “China’s rising global profile,” something that Sahlins compares to China’s “technological and military accomplishments, and its newfound status as the second-largest economy in the world.” Neither of these claims are factually incorrect. While McCord portrays the increase in Chinese language studies as a function of this growing profile, my own research implies that more important questions to ask are what are students getting out of studying Chinese and how does that outcome relate to Chinese state power? Are students truly succumbing to a new global order targeted by China’s soft power policy or abiding by an American-based “social contract” in which students strive for academic success in a competitive educational environment? My research suggests that it is the latter that more effectively drives student choices. In many ways the “Chineseness” of the Chinese language matters because of its perceived ability to protect students from the rapid shifts of late capitalism not because of student affinity for “China.” Thus students often study Chinese as a “magic bullet” to enhance chances for admissions to Stanford or a job a Nike, not because of soft power effectiveness. Within this context, Chinese emerges as the latest do-it-yourself project to manage the future. The CI controversy, despite its extremes, is therefore instructive on multiple levels. I laud Marshall Sahlins’ commitment to guarding against the corporatization of the university and appreciate Edward McCord’s tempering of the ubiquitous “China threat” trope that pervades western media. Grounded anthropological research does not ignore these perspectives but pushes us to detach policy intentions from assumptions about policy effect, to understand the disarticulated nature of state power, to move beyond policy documents as our dominant sources of knowledge, and to examine the effects of implementation on the people who are the objects of policy itself. 1 Marshall Sahlins, “China U.” The Nation, November 18, 2013. The McCord references are to a draft version of “Confucius Institutes in the U.S.: Let a Hundred Flowers Bloom; Let a Hundred Schools of Thought Contend,” originally published on: http://lawprofessors.typepad.com/files/response-to-sahlins-6.pdf. An abbreviated version can be found under the title “Confucius Institutes: Hardly a Threat to Academic Freedoms,” The Diplomat, March 27, 2014. http://thediplomat.com/2014/03/confucius-institutes-hardly-a-threat-to-academic-freedoms/. Jennifer Hubbert is associate professor of anthropology and director, East Asian Studies at Lewis & Clark College in Portland. Her recent work has examined the Beijing Olympics and Shanghai Expo, published in Modern China, City & Society, and positions: east asia cultures critique. 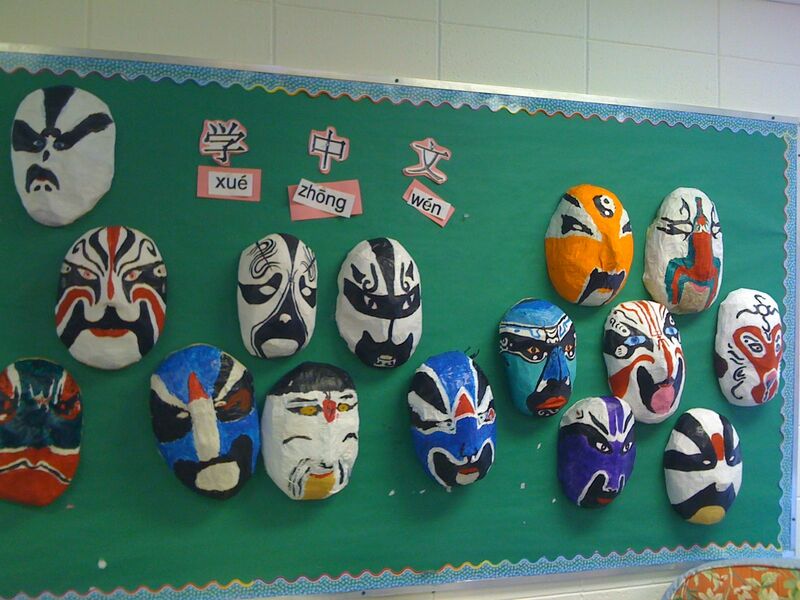 Jennifer’s current book project examines Confucius Institutes. 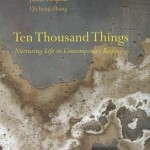 Ten Thousand Things: Nurturing Life in Contemporary Beijing written by Professor Judith Farquhar (U of Chicago) and Professor Zhang Qicheng (Beijing University of Chinese Medicine) won the 2013 Hsu book prize. Yi Zhou (U of California, Davis) interviewed Prof. Farquhar about her cross-cultural collaboration with Prof. Zhang on Beijing residents’ daily practice of yangsheng (nurturing life), the concept of seeking pleasure and cultivating life through a variety of activities such as qigong, dancing, meditation, and connoisseurship of tea and medicinal cuisine. YZ: How did you become interested in yangsheng? YZ: How do the two of you, one trained as an ethnographer and the other as a philological historian, work together for this project? JF: Nowadays, with the book out in English, we just meet to talk about the process of getting to a Chinese translation, and to keep up with each other’s recent work. 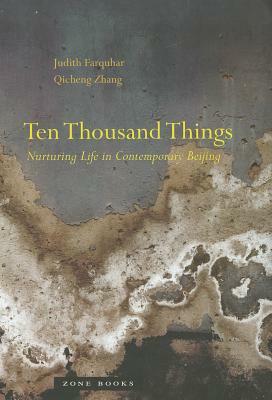 When we were doing the fieldwork and drafting the book, we relied on frequent meetings in Beijing and Chicago, talking and translating. In doing the fieldwork, we scheduled most of our long interviews so that we could both be there, often with a few graduate student colleagues. The interviews often turned into long relaxed conversations. Afterward we researchers enjoyed “debriefing” together. I recall these discussions especially fondly; we pushed each other toward deeper perceptions of a life and forged wider linkages of that life to matters of anthropological concern. Prof. Zhang and his group were especially able to hear, in the language of our interviewees, allusions to recent tropes and ancient themes in Chinese discourses; I was sometimes able to draw an anthropological notion out of our experience and explain it to the group. The collaborative writing of the English book, in a way, continued the fieldwork, in that we wanted to share the activities (in the parks, in the library, in classrooms, in the media) in which we had separately participated while thinking about the problems of the study. YZ: In Ten Thousand Things, you gave a lot space to Chinese indigenous theories/thoughts such as Daoism and the philosophies embedded in the Chinese medical canon. Could you share with us your particular considerations for formulating this theoretical framework for your book? JF: In a way, the “indigenous” ideas that play through the book are not so much a theoretical framework as a promising theoretical resource. The most basic commitment of the project is to conventional ethnography, with its long-standing habits of realism and comparison. Prof. Zhang’s early enthusiasm for ethnographic method and anthropological writing (which he had not really encountered before) was one of our fundamental bonds as authors. It was my decision not to cite a lot of the theoretical writing that has influenced me as a teacher and writer. It seemed unethical, somehow, to frame this co-authored book with arguments that remain unknown to one of the authors. Meanwhile, Prof. Zhang gave me wonderful textual materials to think with – both classic writings and his own – as we worked. The ideas in Zhang’s essay on “life” (Chapter 4) could inspire very creative new anthropological orientations. Some of this material might turn up as “theory” – even theoretical framework – in my next book, which I’m writing with Lili Lai. YZ:You suggested in the book that the deeper motivation for Beijing residents to seek pleasure and the meaning of life through yangsheng is a result of a particular feeling of lack, an absence left in the collective desires by the receding socialist utopian imagination. Does this mean that China’s post-utopian condition may differentiate yangsheng from the concept of “self-care” in America? JF:Yes, yangsheng is (almost by semiotic definition) a different phenomenon than self-care or wellness movements in the U.S. The local specificity of a social movement like the yangsheng “fad” is only made comprehensible by reading it in historical context. After all, the older people we knew in Beijing all remembered more ascetic times, a different configuration of work and leisure, and a very different list of party-state promises, guarantees, and disciplinary techniques. So not even Shanghai’s yangsheng world would be quite the same as Beijing’s. That said, as I talk with Americans and other non-Chinese citizens about yangsheng, again and again I am impressed with the easy mobility of certain principles and practices, the fluent translation of wellness advice into a variety of contemporary lives. Zhang Qicheng and I wanted to study bodies in action in everyday life, and though we were not looking for human or bodily universals, we were always delighted to find patches of experiential common ground. Judith Farqhar is a Professor of Anthropology at the University of Chicago. 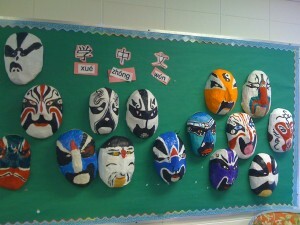 She researches traditional medicine, popular culture, and everyday life in contemporary China. Her anthropological interests include medical anthropology; the anthropology of knowledge and of embodiment; critical theory and cultural studies; and theories of reading, writing, and translation.